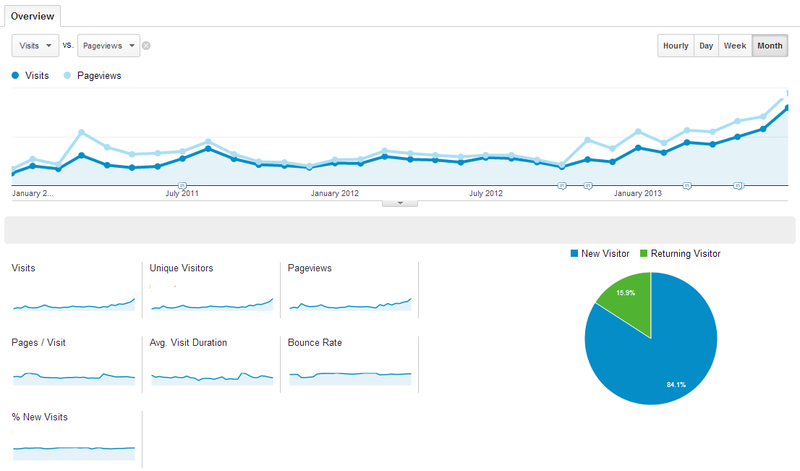 Google Analytics and Google Webmaster Tools can be overwhelming to anyone, even the experienced webmaster. There is the potential for so much information in those tools, so many statistics, that sometimes it's impossible to make heads or tails of what's important and what you should be looking at. This Helpout is not a lecture or tutorial on Google Analytics or Google Webmaster Tools. It is a 15 minute session to get you started on your journey into actionable intelligence. Custom dashboards in Google Analytics are a great way to put together a variety of customized chart modules that can help tell a story, providing data surrounding a question that you have about your traffic. To get you started in your actionable intelligence journey we've provided some dashboards that you can click and install on your Analytics properties, automatically populating with your own data. This Helpout is geared towards helping you answer the questions that you might have about your website and website traffic, and point you to the answers in the tool that will assist you. It is geared towards helping you develop a strategy for querying these tools, and using the statistics found within them to guide your process. If so, go ahead and contact us. Instructions will be sent to you upon confirmation. David is the master of his craft. His unique insight and high level of knowledge make him easily one of the best internet marketers I have ever met. I would use his services again in a heartbeat.